With the Norman Conquest came many more written records. The Domesday Book of 1086 gives definite information about Hambleden. We learn that Hanbledene was given to Queen Matilda together with other manors. Hambledene was rated at 20 hides and there was land for 30 ploughs. 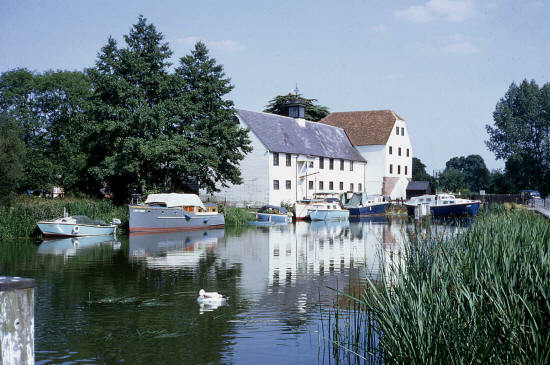 The Manor also had a fishery yielding 1000 eels per year, a mill and woodland for 700 swine. Ashford in his History of the Borough of Wycombe states that at this time Hambleden was the most populous manor in Bucks, Wycombe coming second to it. A.H. Stanton in "On Chiltern Slopes" points out that a hide varied in size but was about 120 acres in extent so that in Hambleden there would have been about 2400 acres cultivated and 4200 in woods and waste etc. If this were so, and assuming that standing woodland covered at least as much land as it does today, most of the Hambleden Valley bottom, the river bank in either direction from Mill End and some of the plateau area extending from Burrow Farm to Parmoor must have been cleared for agriculture by this date. Forest was equally as valuable as plough land and was preserved for hunting, for pannage and as a source of timber and fuel so it is safe to assume that at the time William Rufus was shot down in the New Forest, foresters were in the woods around what was to be Frieth, whether they made rough huts or not we do not know. Both the Knights Templar and the Knights of St. John of Jerusalem certainly had an interest in and some control over the Parmoor area which had been handed down to them after the Norman Conquest. The Knights Templar were dissolved in 1312 and their property handed to the Knights Hospitallers or St. John of Jerusalem (Lipscomb notes their connection with Parmoor as during Henry VI's reign 1422-1461). So far I have not been able to discover any more information about this subject except that Bagmore Farm was also in some way involved but this has not been verified so far. From the time of the Norman Conquest onwards and during the Middle Ages we can safely assume that there was gradual clearing of woodland on the almost flat plateau extending from the top of Rockwell End Hill across to Frieth where there was a good clay soil and that most of it would at some time have come under the plough. On the system of agriculture used in the Middle Ages the stubble would be used for grazing along with the pastures and waste grasslands for some cattle and sheep rearing. Wool from the sheep grazed on the steep sided Wycombe Valleys found its way into Chepping Wycombe, some to its mills and some transported along the Oxford to London road. There is no evidence that Wycombe was a market for the Frieth-Parmoor area, what communications there were appear to have been in the opposite direction and surplus grain and wool would have been taken down the Hambleden Valley to Mill End and transported from there by barge down the Thames to London for the River was still a main highway. In 1376 London barge men complained of the fees they were charged for using [ the newly built ] Hambleden Lock. During the Middle Ages the names Parmoor and Frieth appear in connection with Hambleden Manor. The Victoria County History lists the holders of Parmoor in one section and those of Frieth in another but does not make it clear where Parmoor ends and Frieth begins (geographically). To add to the confusion the scrub waste, moorland, common and some forest still belonged to the Lord of the Manor of Hambleden. So the lists below are only a brief attempt to sort out the owners. It is doubtful whether many of these owners actually lived at Parmoor or Frieth. * In 1471 the name Robert Wymbuss occurs as Rector of Fingest. 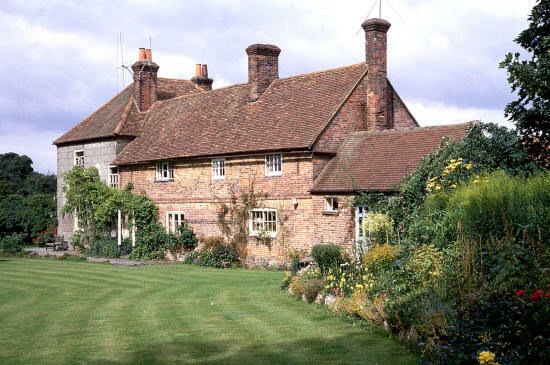 - At Moors End 'Astrea' (Mr. and Mrs. Collier) was built on the site of two very old cottages with hewn timber frames and wattle & daub infilling. The tiles from these houses went to mend the roof of the barn at Little Colstrope. The cottages had cellars and when they were demolished these were infilled with flints - possibly from the lower walls. - At Little Frieth, at the end furthest from the lane at Rowan Cottage (Mr. and Mrs. Small), there was a very old cottage. - On the site of Miss West's house at The Firm there was an older cottage. All this evidence points to the fact that by about 1550 Frieth was emerging as a scattering of cottages.